Why would someone let this happen on their Table poor thing :02: .,.,. 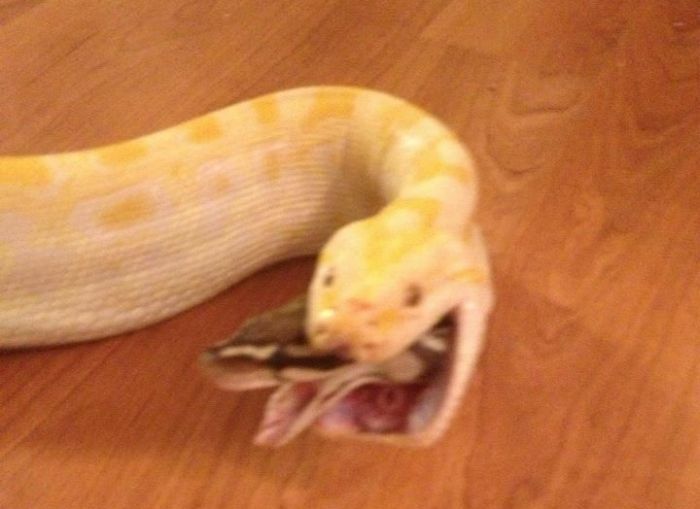 The normal python is using the albino python as a sleeping bag. That's why he looks so happy in the last photo. 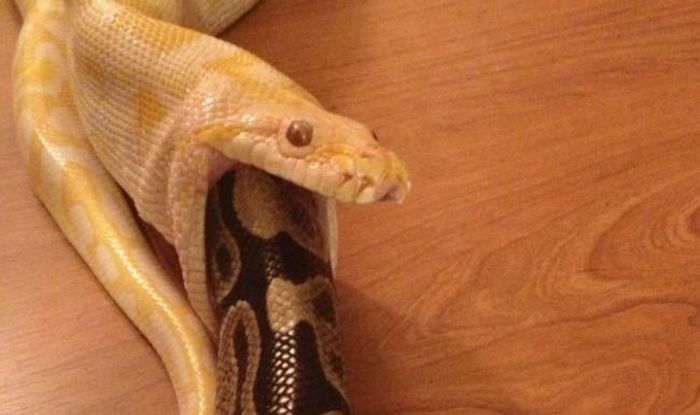 a tiger python(python molorus) eating a ball python(python regius). shame that they did let it happen! 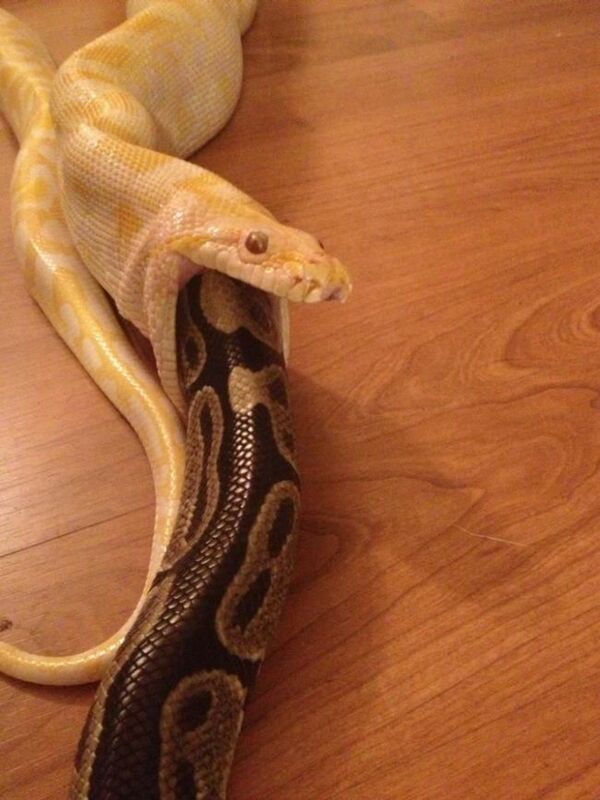 A lot of snakes eat snakes. King Cobras for example, only eat other snakes.